In order to get the best possible deal for the commercial property of your dreams, choose Rakow Group’s office space real estate Fairfield County services. A rising number of physicians are seeking to open medical offices outside of hospitals in order to provide more accessible care to their patients. Most notable is the increase in medical offices opening in suburban areas like Westchester, New York and Fairfield County, Connecticut. Many physicians are opening offices in shopping and retail centers close to hospitals, so as to simplify the process of connecting with their patients on a consistent basis. This all said, in comparison with other industries, tenants seeking medical office space is less common because the requirements are more extensive, thus making the search for the right space more challenging. However, the medical industry is far less transient than other industries that require office space. As a result, once a tenant successfully finds a space that fits all criteria, it is more likely for him or her to remain in this space for a longer period of time than would most tenants of other industries, such as retail or business. 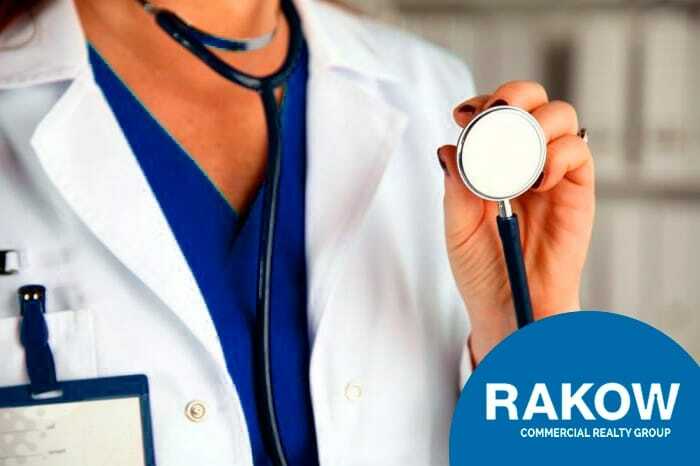 If you are a physician with a private practice in search for medical office space, it would behoove you to find a broker with experience in the intricacies of medical office space criteria. Because for you, this will likely be a longer term investment than if you were in a different field of work. So you might as well make sure you make the right decision by surrounding yourself with people who understand what you’re looking for and know how to get it. A broker, or rather, a tenant representative, can help you in your search by narrowing down properties to those that meet all of your requirements. Furthermore, negotiating the terms of a lease for a medical office is an entirely different beast than other types of office space. If you don’t understand the ins and outs of what goes into the terms of your contract, someone could easily take advantage of you. Moreover, if you don’t have someone assisting you, that’s all the more incentive for the landlord to do so. The Rakow Group offers guidance in negotiations for the sale and leasing of commercial properties. We specialize in medical office space, which is a service that distinguishes us from much of our competition. We operate out of Westchester County, New York and Fairfield County, Connecticut. To learn more about our 30 plus years of experience in providing office space real estate Fairfield County services, you can give our office a call at 203-359-5703.